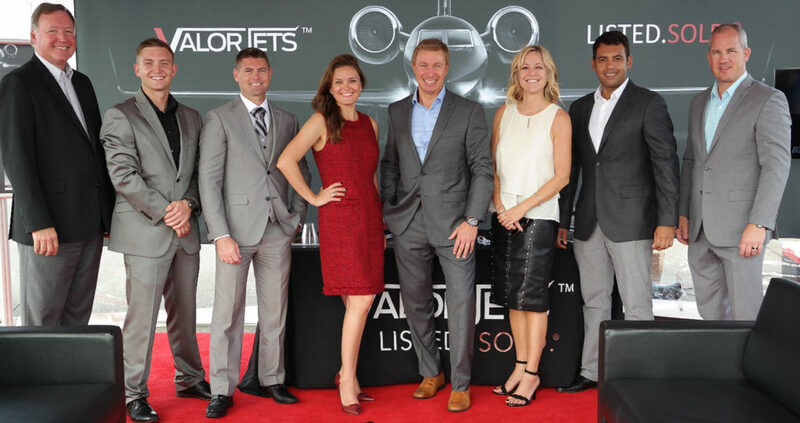 Sarasota Florida-based JetBlack Aviation, a leading corporate aircraft sales and acquisition firm, is now operating under the name of Valor Jets. As a military synonym for courage and honor, “Valor” demonstrates a new focus for the former JetBlack brand. In addition to hiring veterans to work for his company, Paul contributes to veterans’ charitable organizations such as Wounded Warriors and Pets for Vets. “Pets for Vets is especially close to my heart,” Paul says, explaining that the organization trains shelter dogs as service animals for veterans. Valor Jets marketing director, Dan King, says it was Valor’s commitment to veterans that attracted him to the company. In addition to his marketing background, Dan served two tours of combat duty as a Marine in Afghanistan. In order to make the rebranding process go as smoothly as possible, Paul will continue to use the phrase “Powered by Jet Black” after the Valor Jet name to help the public transition to the new brand. He also has retained the company’s distinctive black jet logo. Paul says that the rebranding process, which began in September 2015 and will be completed this November at the National Business Aviation Association (NBAA) Conference in Orlando, went smoothly but took more time than he anticipated. Paul and his team have timed everything to be in full throttle for the annual National Business Aviation Association (NBAA) conference, Nov. 1-3 in Orlando. Valor Jets will be exhibiting three jets at the conference, including a Global Express that can fly from New York to Tokyo, nonstop. As someone who grew up in and around planes and is himself a pilot, Paul keeps the military service of his father and his grandfather in mind when it comes to the service and reputation of his company. He enjoys telling the story of his grandfather, Ira Paul, whose plane was shot down over India during a World War II bombing raid. “He was stuck in the woods for five days,” Paul says, adding that his grandmother made her wedding dress out of the parachute that saved her future husband. “I am just happy to be in the position to give back to veterans,” he says.